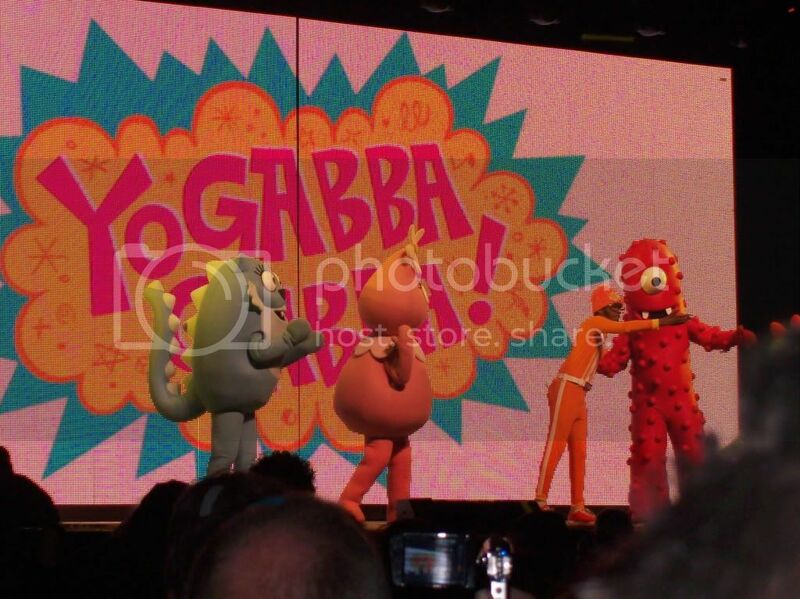 Yo Gabba Gabba is an addictive children's show that I am positive is aimed at driving parents insane. Damon introduced Marlie to DJ Lance et al and I have not had a moment's peace since. She's a total Gabba groupie now. Not only does Marlie watch the episodes repeatedly, she insists that I stand at the ready with the Roku remote to fast forward through the parts she doesn't like. This is why I wanted to limit her exposure to television. Hoperfully, she'll get bored or I am going to have to teach her how to use the remote so I don't lose my mind. Let Me In is the American version of the Swedish film Let the Right One In. It is the story of a child vampire who is a predator on more than one level. I can't say much more without spoiling the ending, which is what keeps you watching this plodding munch-fest until the bittersweet end. As far as Yo Gabba Gabba goes... I get those songs stuck in my head ALL THE TIME! "There's a party in my tummy! So yummy! So Yummy!" "Snacky snack, snack snack snack snack.." Orlaith loves that show! I haven't seen the American version, but I have seen the Swedish version, "Let the Right One In". It was very different and I enjoyed it! If you are into foreign films, the Swedish trilogy of "The Girl with the Dragon Tattoo" is really good too! Lewis still likes YGG but is over the moon for "The Fresh Beat Band". This is another Nick Jr show that has annoying songs that you will find yourself singing (and dancing) too eventually LOL. My son Aiden loves him some Yo Gabba Gabba. LOL. We catch it a lot and he always says that he'll be the robot and I'll be the pink one (I think her name is Foo-fah but I could be wrong). Yo Gabba Gabba is ALMOST more fun for me and Mike than for Cedella at this point. Especially if Biz Markie is on!! Love it! Yo gabba gabba is also one of deaglan's faves. To me it is mostly creepy and annoying. But I balance that out with the fact that it is the rare twenty minutes that Deaglan is quiet and still.